Float therapy is a place where you can calm your mind, relax your body and soothe your soul. Many people fall in love with floating after just one experience in the tank – we sure did! People are drawn to float therapy or floating to find relief from physical discomfort and stress, tap into personal insights and creativity or simply to enjoy some peace and tranquility. Floating is likely the most relaxing thing you have ever done. Check out our YouTube page here with our video editions of Float Facts and Tips from the Tank. Bliss Float Centre is Kamloops’ only Float Centre and features three float cabins, manufactured in Canada by Pro Float Inc. – the float therapy specialists! Our friendly and knowledgeable staff will assist you with your floating experience. Come and experience nothing with us! 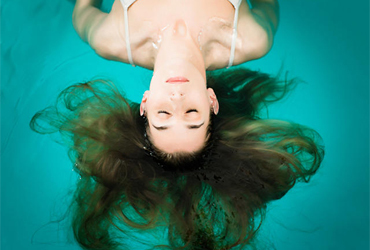 Floating, or REST allows your body to re-direct energy that it would normally use to counteract the forces of gravity into recuperating and healing by using enough epsom salts, skin temperature water and a specifically engineered tank to float in. The benefits of putting our bodies into a state of ultimate relaxation is extensive. Our minds are free from outside stimulation and therefore have an opportunity to explore deep meditation. Benefits include stress & pain relief and enhanced creativity. Need to know how to prepare for your first float? Some tips to remember: eat a small meal 1.5 hours prior to your float, avoid caffeine. Everything you need for your float experience is provided by us, except you of course!